A long, long time ago I came across a recipe for marshmallow fondant which can be used to cover a cake in place of rolled fondant. This looks too easy to be true I thought to myself, and it was relatively easy to make, but surprisingly it worked well, tasted good and ever since that first time I have been a convert. It is made up of....... yup you guessed right........marshmallow, and sugar and it will taste pretty much like the marshmallows you make it out of. I like to use pascals and where possible the pink and white mix ones. If you use nasty tasting cheap marshmallows, your fondant will taste like those same nasty marshmallows. 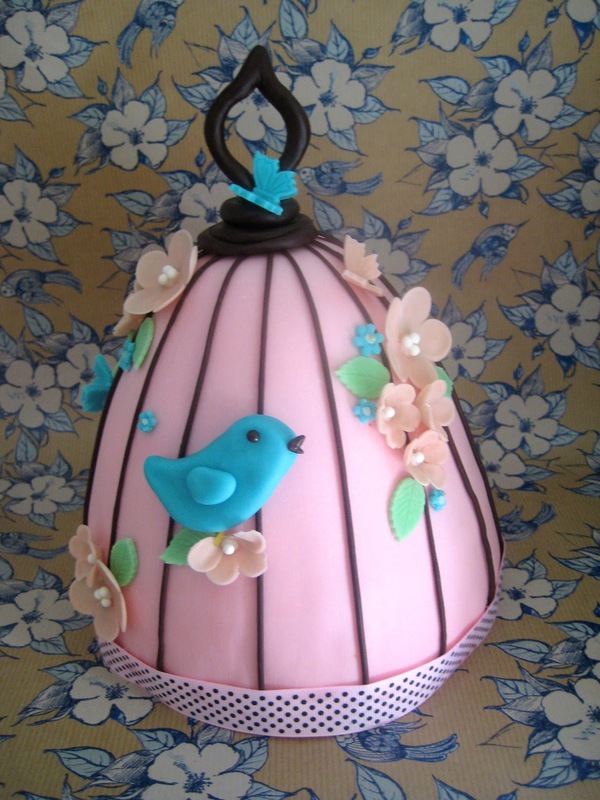 It's not suitable for all cakes and situations, but for this butterfly and blossom birdcage cake it worked well. 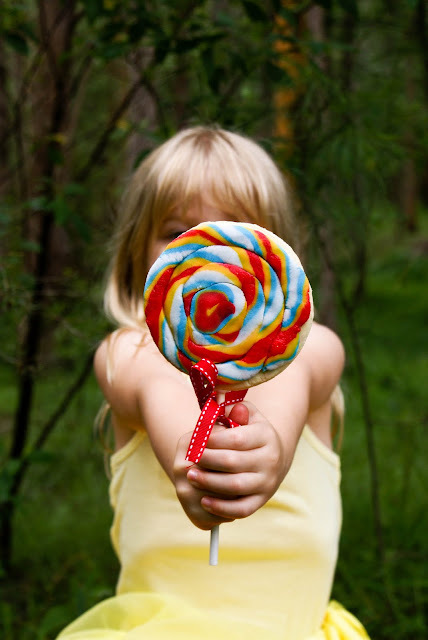 It is also the recipe I use to make the lollipop cookie pops. 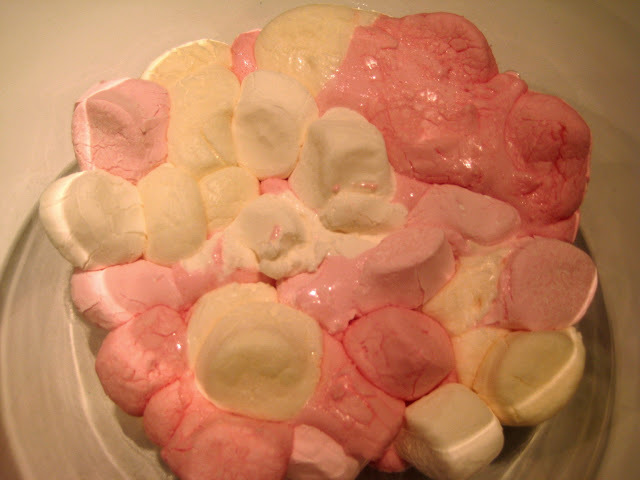 Pop marshmallows and water in a LARGE microwave safe bowl (this is gonna get messy and sticky). Melt in 30 second increments for 2 1/2 mins total stirring at each interval. Scary night time photo with poor lighting, but you get the idea. Melt those marshmallows!! Add icing sugar and mix well. Grease surface and hands VERY well with crisco, have more ready to regrease as necessary. Knead until smooth and stretchable. If fondant is tearing add 1/2 tsp water at a time and knead again. Wrap in plastic wrap and refrigerate overnight. Microwave for 10 seconds when ready to use. To use roll out on surface lightly sprinkled with cornflour (or icing sugar). If you use pink and white marshmallow your fondant will turn out the pink colour of the birdcage cake. I sometimes make half batches separating the pink and white so I can colour the white however I like. It is possible to buy bags of all white pascals marshmallows. You can add colour at the mixing or kneading stage, or leave plain and colour smaller batches as required. Recipe update - make sure to keep the fondant in a ziplock bag or wrapped with plastic wrap when not using as it will dry out and go hard. If that happens microwave again and add a little bit more crisco. Try to work very quickly. Such an adorable cake! I love marshmallow fondant. I have just used it to make a fish shaped cake. I used this to make my little girl some cookies for her birthday party. It was so easy and delish! Didn't have any Crisco but used organic cold pressed coconut oil (butter) and it worked just as well. I used all natural colors and they turned out great. It was my first attempt at icing cookies so I will be better at it next time but everyone loved them!Thank you. Hi, I love (!!!) your marshmallow ribbon candy, how many days in advance can I make it? I was thinking of doing a red and white combo for my son's pirate party. And can I use vegetable oil instead of crisco? So glad I found your blog, just love it! You are truly very talented. Hi Linda! You're so clever, I'd really love to try this. I'm from Brisbane too. What can I use instead of Crisco? Butter? Hi CupKate thanks, I have heard some people say they use Rice Bran oil as it is tasteless and has no color. If you are in Brisbane I have seen Crisco at Chocolate Boulevard in the Myer Center and also Plenty Deli at Eight Mile Plains (and if they have it perhaps other good delis have it). Otherwise cake decorating shops usually sell white vegetable shortening for use in frostings. when you say icing sugar this is the "pure" icing sugar and not the icing mixture ? Yes that is correct I always use pure icing sugar. Hi Tracy the vegetable shortening is just to stop the fondant from sticking everywhere, different people will need different amounts, probably a couple of tablespoons. Yes I think the kids prefer the taste of the marshmallow fondant. With the red color, you will need quite a bit but a good tip is to mix it in before you add the sugar to reduce the amount of kneading in you will do (unless you need some lighter colors to also come out of the same batch). The birdcage cake in the picture is buttercream and quite a few of the cakes I make have buttercream instead of ganache. As long as the cake doesn't have to be carved I can not see why buttercream could not be used. how many grams of fondant does this make? have you tried substituting the Crisco with our copha. Why did you choose Crisco instead of Copha. I am assuming you have tried substituting the Crisco with our copha. What was the result? Hi Michelle. Crisco is soft and copha is hard, so you can kinda rub the crisco on like a hand cream :) You can use a white vegetable fat available from cake stores as a direct substitute. I have heard some people say they use canola spray and it works (I haven't tried it). The purpose of the oil is just to stop the marshmallow from sticking to everything - it is really super sticky. can you add tylose to this to make gumpast? 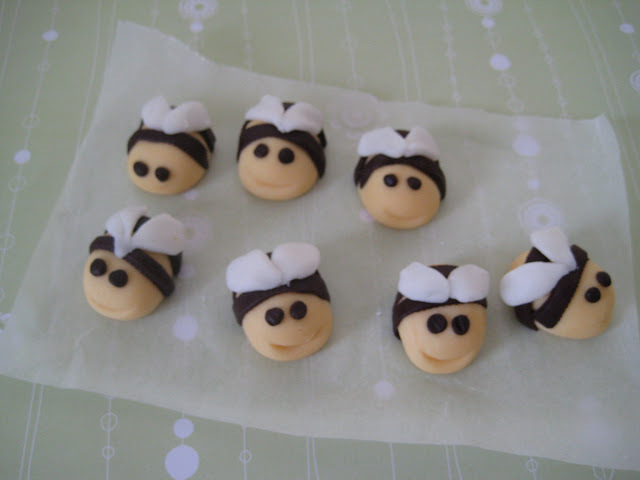 Just this morning I was thinking about finding a marshmallow fondant recipe! How perfect.